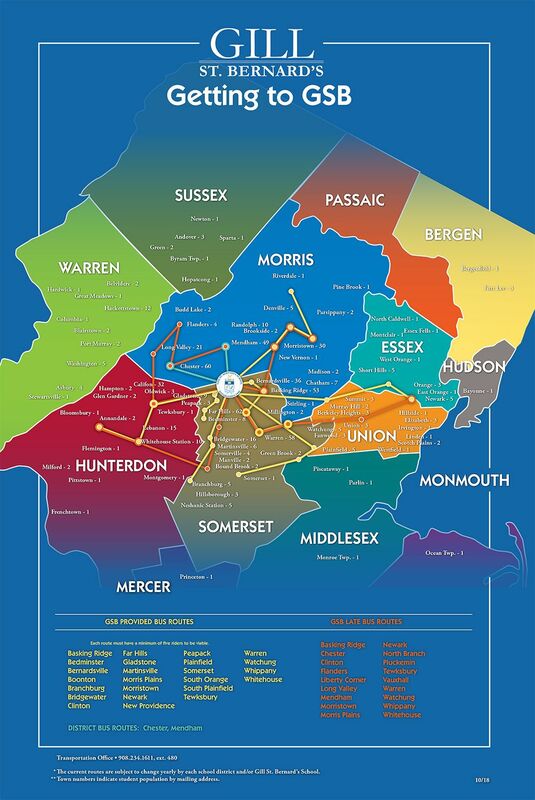 Students come to GSB from ten counties and about sixty north-central New Jersey communities. While families have the option to provide their own transportation to campus, many arrange for bus service through their local school districts. 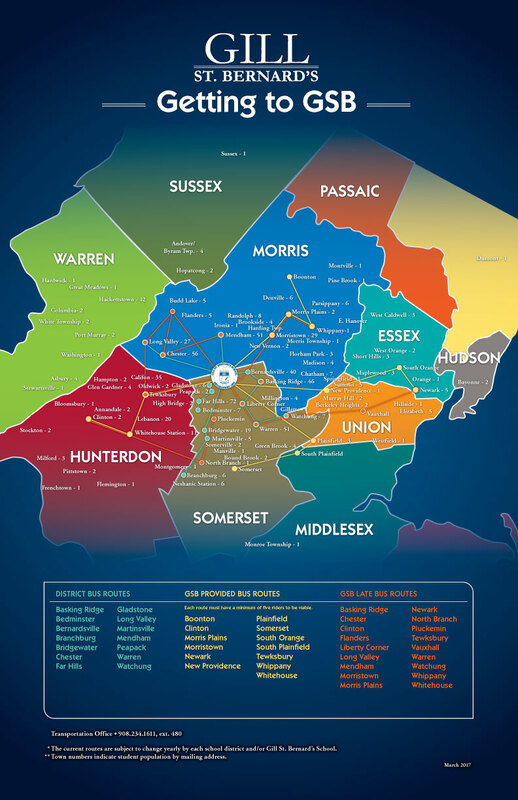 The majority of school districts in New Jersey offer busing or reimburse families to offset the cost of private transportation. To apply for these services, families should submit a B6T form to their school district. Please note, these forms must be re-submitted each year. If transportation is not available through your local school district, GSB may offer bus service to your area. Fees and availability are determined by distance and the number of students interested in using the service. The school provides late buses to accommodate students in grades 5 through twelve who remain on campus for athletics or other school events. There is no fee for this service.